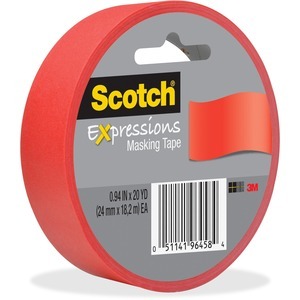 Decorate and personalize your projects with Scotch Expressions Masking Tape. You can leave messages and special notes on it with a pen, pencil or marker. The tape holds securely on a variety of surfaces yet removes cleanly. Paper finish is easy to tear.